February 7, 2019 - EU lawmakers are divided over how much the bloc’s climate planning should rely on carbon removal technologies, after a draft appraisal of the European Commission’s 2050 strategy questioned their feasibility. European Parliament committees are currently giving their two cents on the EU executive’s landmark climate plan, which was published in November and will probably form the basis of EU climate policy for the next few decades. A carbon dioxide capture and storage facility in Schwarze Pumpe, Brandenburg, Germany, in 2011. But lawmakers are divided into two camps on a crucial issue, the use of technology like carbon capture and storage (CCS): one which favours its use and one which is adamant that planning for 2050 should not “overly rely” on it. The Commission plan offers up several scenarios for 2050, from which member states will have to choose. The most ambitious scenarios, which aim for nearly 100% emission cuts by mid-century, rely heavily on carbon removal. In a draft resolution penned by the Parliament’s environment committee (ENVI), MEPs initially said that technologies like CCS and direct air capture have yet “to prove their feasibility” and should only “complement direct emissions reduction”. A series of amendments penned by the likes of Bas Eickhout (Greens), Eleonora Evi (EFDD), Ulrike Müller (ALDE) and Kathleen Van Brempt (S&D), among others, seek to dismiss or at least downplay carbon removal’s role. An expert with the European Environmental Bureau agreed that “the path to net zero emissions by 2040 must not be dependent on unproven negative emissions technology”, citing forests and carbon sequestration as “natural and effective” options. That is in direct contrast to other amendments proposed by MEPs like Peter Liese (EPP), Seb Dance (S&D), Jan Huitema (ALDE) and ENVI chair Adina-Ioana Valean (EPP), which elaborate that the “feasibility” issue of CCS is related to large-scale deployment and not fundamental viability. In one addition to the resolution, Valean says CCS should be considered a “no-regrets option”, while another amendment, co-penned by Françoise Grossetête (EPP), says the technology is needed for processes where “few or no other economically feasible alternatives […] are available”. CCS advocates also pointed out in their changes that the recent UN report by the Intergovernmental Panel on Climate Change (IPCC) “assigns important emissions reductions” to the technology, particularly in scenarios where global warming is limited to just 1.5 degrees Celsius. 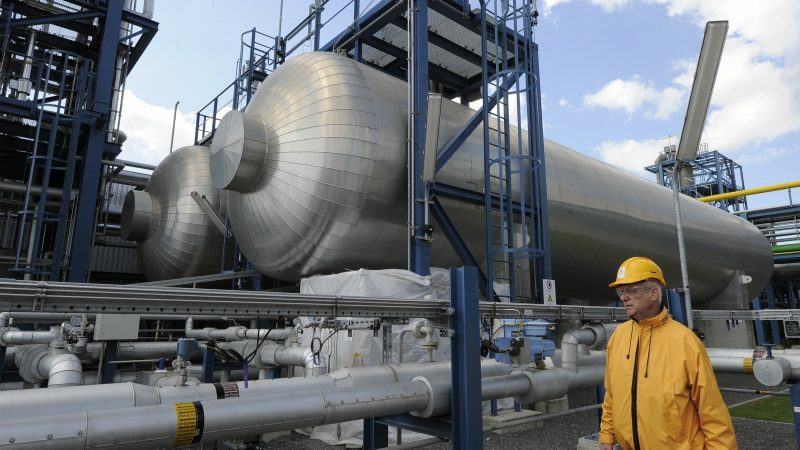 A spokesperson for the International Association of Oil and Gas Producers told EURACTIV that the draft resolution is contradictory as it refers to the IPCC findings but dismisses “key findings that CCS will be essential to deliver a 1.5°C”. It is possible that the Parliament will be asked to vote on two separate resolutions in March, as the energy committee (ITRE) has disputed ENVI’s lead on the file and has compiled its own stocktake. In a copy of the ITRE draft, seen by EURACTIV, CCS is not questioned although amendments are still pouring in. ENVI lawmakers are set to vote on their resolution on February 20, while ITRE’s will be ready at a later date. The main reason why CCS and other carbon removal techs have not taken off yet is the lack of investment, which a 2018 report by the European Court of Auditors concluded was down to lack of coordination and long-term strategies. Between 2008 and 2017, more than €3 billion in EU money was available for demo projects to prove the feasibility of CCS but the Auditors report found that each funding programme fell short of their targets. However, a UK government task force concluded last July that there are viable business models and that CCS deployment in “industrial clusters” is the best way forward, as this would share infrastructure costs. Indeed, as the Global CCS Institute points out, “CCS has been operational at commercial scale since the 1970s, there are currently 18 large-scale projects in operation globally and five under construction and to date more than 200 million tons of CO2 has been safely stored”. At the 4th EU-Norway energy conference on Tuesday (February 4) though, one senior Commission official warned that CCS is still “not an easy subject”, citing “public resistance, high costs and relatively low private investments” as barriers. Speaking at the event, EU energy Commissioner Miguel Arias Cañete urged oil and gas companies to increase their support for CCS and “become part of the solution” to climate change.